Gov. Andrew M. Cuomo wants to entice more New Yorkers into earning a college degree with an offer of free tuition at the state’s public colleges and universities. It’s easy to understand free, especially when college costs prompt night sweats for parents of college-age students. Cuomo's plan grabbed nationwide attention. State University of New York Chancellor Nancy Zimpher called the free tuition proposal a “showstopper” and praised the governor for putting higher education at the top of New York’s list of public policy issues for 2017. The possibility that increased competition for seats in selective state colleges and universities will squeeze out low-income students and lead to less diverse campuses. The state is home to more than 100 private colleges and universities, in addition to a network of 89 public colleges and universities in the State University of New York and City University of New York. Cuomo’s plan would drive up higher education costs and put some private colleges out of business, to the detriment of students and taxpayers, according to some private sector presidents. Currently, more than half of the state’s bachelor’s degree earners and nearly three-quarters of its master’s degree earners graduate from private colleges and universities. Small private colleges in particular, which tend to rely on tuition for the bulk of their revenue, already face tremendous financial pressures due to a continued declined in the population of traditional college-aged students across most of New York and in other parts of the Northeast and Midwest. Olson said the governor’s plan as it now stands would create havoc in the state’s higher education landscape, potentially steering tens of thousands of students from private colleges and universities onto SUNY campuses that won’t have the capacity to handle the influx. “They would be completely overwhelmed,” he said. The state would then have to spend even more money on additional faculty and staff and facilities, added Olson. Gary A. Olson, president of Daemen College, on Gov. Andrew M. Cuomo's free tuition plan: "If your goal is to get more students in and then graduate, then you would be better off making sure both sectors are taken care of." Cuomo’s proposal ultimately would have the state pay tuition at public colleges and universities in New York for resident students in families that earn $125,000 or less per year. State officials anticipate using existing federal and state financial aid programs to pay for most of the cost, while adding $163 million in state tax dollars for “Excelsior Scholarships” that will cover what the traditional aid programs do not. Cuomo’s free tuition plan won’t exactly be free – either for taxpayers or for students. Some graduates of the SUNY system already have complained on social media about struggling through college, working to pay for it, while future SUNY students could get free tuition, paid by tax dollars. But today’s students bear much more of the cost of higher education than 10 or 20 years ago. Public college tuition used to be low enough that many students could work a summer job and part-time during the semester to pay their way. Not anymore, said Kim Dancy, policy analyst for the New America Foundation. “In recent years, we’ve seen a huge increase in what public institutions are charging students in a way that minimum wage salaries haven’t kept up with,” said Dancy. 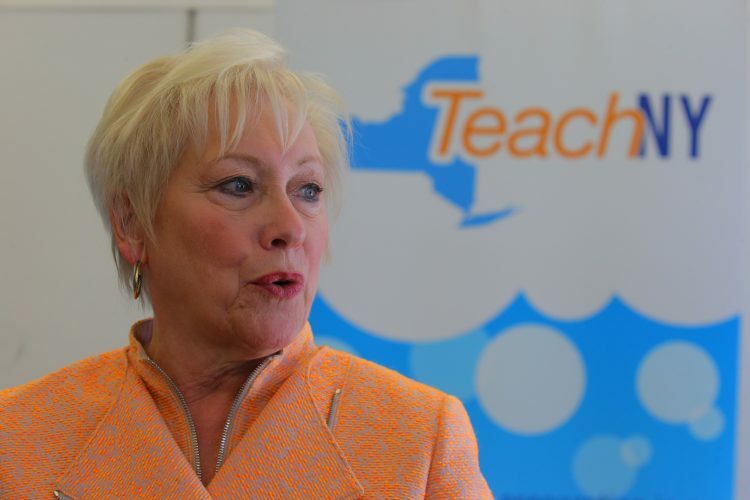 Besides, an individual’s college education translates into societal benefits, so taxpayer contribution to that education is an investment in the broader community, said Katherine S. Conway-Turner, president of SUNY Buffalo State College. Dancy has studied the idea of free college since Sen. Bernie Sanders, I-Vermont, made it a centerpiece of his campaign for the Democratic presidential nomination. Sanders joined Cuomo at LaGuardia Community College in Queens for the governor’s announcement and urged state legislators to support the free tuition plan. Instead of free tuition, the governor’s proposal could be tweaked to expand the state’s Tuition Assistance Program, or TAP, a financial aid grant program that follows an income-eligible student to the institution of their choosing, public or private, Olson and other private college leaders said. “Wouldn’t everyone like to go to college for free? No question. It sounds wonderful,” she said. 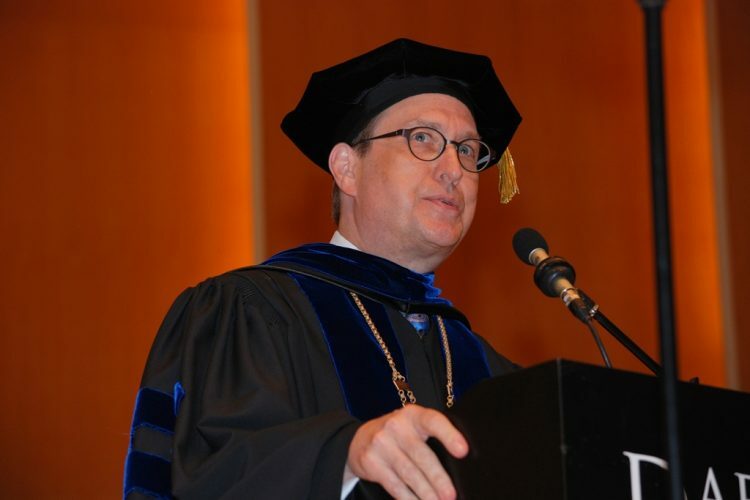 But Zane said the proposal had the potential to upset one of the state’s most effective public-private partnerships and significantly weaken the private sector, where students on average graduate at much higher rates and have lower loan default rates than the average for SUNY and City University of New York campuses. The plan also could have devastating economic effects across the state. Small private colleges fuel local economies by two to three times the size of their budgets, according to estimates by the Commission on Independent Colleges and Universities. Hilbert, with enrollment of about 1,000 students, an annual budget of around $16 million and employing the full-time equivalent of 200 people, has an economic impact of $43 million annually. At Daemen, the impact is estimated at $130 million. Higher education policy experts said the governor’s plan isn’t as progressive as it sounds. “The students who need it the most will benefit the least,” said Julie Ajinka, vice president of applied research at the Institute for Higher Education Policy in Washington, D.C.
That’s because low-income students won’t receive any additional benefit from the plan. They already qualify for enough federal Pell and state TAP money to cover SUNY tuition, which is $6,470 this year. The biggest winners will be students in families that earn between $75,000 and $125,000. They currently receive little or nothing from Pell and TAP. Ajinkya said Cuomo’s plan – while “definitely politically popular” because it includes a broader spectrum of students - fails to take into account college costs beyond tuition, such as books, fees and living expenses, which are growing just as fast or faster than tuition. Students from families with lower incomes are less prepared to absorb those costs than higher-income students. And it’s often an inability to pay that forces them to drop out. “When they’re left to foot the remainder of that bill, there’s a bigger gulf for them,” she said. In effect, Cuomo is proposing an expansion of the state’s TAP program to higher middle-income families, added Matthew M. Chingos, an education policy researcher at the Urban Institute in Washington D.C.
“The Cuomo plan does precisely zero for kids from low-income families,” he said. Many of those middle-class families feel squeezed by college costs, too, and in New York, a $125,000 income threshold means very different things depending on whether a student resides near New York City or in Upstate New York, said Chingos. A flood of new students into the SUNY system could lead to other inequities, particularly at the most selective campuses, such as Binghamton University and the University at Buffalo. Students from more affluent families have years of educational advantages that help them meet higher admissions standards. “It’s almost certain that you would have more competition for those seats that could potentially drive out low-income students,” said Chingos. UB already enrolls a higher percentage of students from affluent families, compared with other SUNY institutions. About 62 percent of the 16,511 in-state undergraduate students at UB would qualify for free tuition, based on an adjusted gross income of $125,000 or less. Statewide, 80 percent of households make $125,000 or less. 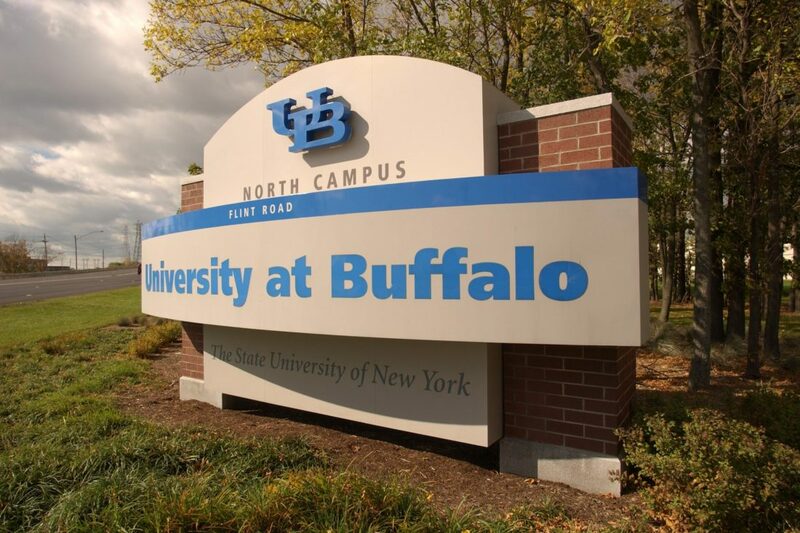 About 90 percent of SUNY Buffalo State students come from households below the proposed free tuition income threshold. Still, free tuition offers a powerful marketing advantage: A simple, clear message that could convince many low-income families who thought they couldn’t afford college to apply and enroll their sons and daughters. It’s already happened in Tennessee, where community colleges saw a 25 percent increase in enrollment in 2015, after the state promised to make earning a two-year degree tuition free. Tennessee’s program also makes up the difference in tuition not covered by federal aid, benefiting more middle-income families. Goldrick-Rab wrote an opinion piece in the Washington Post praising Cuomo’s proposal. The Cuomo plan would require students to enroll full time to receive free tuition - a stipulation that could be a problem, especially for community college students, who often attend part time because they have jobs. On the flip side, free tuition may be just what some students need to switch from part-time to full-time and complete their degree work faster, thus incurring less debt. “One thing we know unequivocally is that if you are fully enrolled, there’s a much better chance you will stay on target or finish early,” said Zimpher. State University of New York Chancellor Nancy L. Zimpher: "This is a big deal. This is once again New York setting the pace." Cuomo so far hasn't provided details on how the state will pay for the added cost of the Excelsior Scholarships. Prior to the announcement, as SUNY was crafting its budget proposal, the governor’s office cautioned SUNY officials to temper their request due to disappointing state income tax revenue projections that were likely to cause a budget deficit. To make sure their campuses have enough revenue, SUNY officials asked the state to renew a “rational tuition” policy that had allowed for yearly tuition hikes between 2011 and 2015. The policy, which led to a 30 percent increase in tuition over the five years, expired in the spring and the legislature declined to extend it. SUNY officials want to bring it back, with a wrinkle – tiered tuition rate increases, in which individual campuses could elect to request an annual hike of $100, $200, or $300, or no increase. Zimpher said SUNY will continue to press for the rational tuition policy, while also advocating for Cuomo’s proposal.